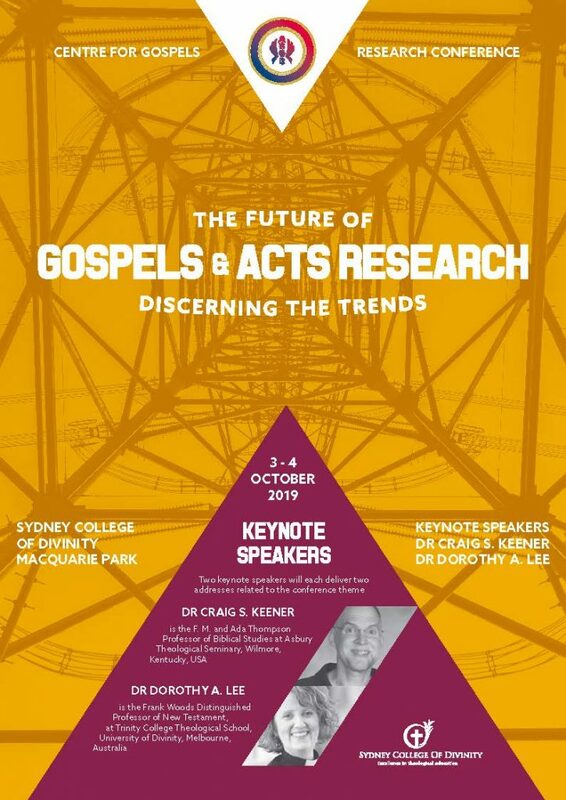 Save the date for the Centre for Gospels Research Conference The Future of Gospels and Acts Research: Discerning the Trends which will be held 3-4 October 2019 at the Sydney College of Divinity, Macquarie Park. Dr Craig S. Keener and Dr Dorothy A. Lee will be the keynote speakers. 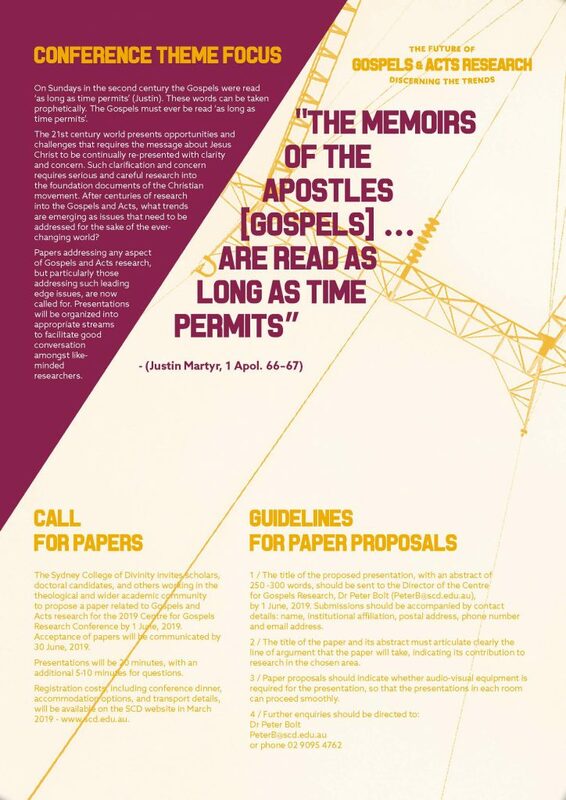 The call for papers related to the conference theme is now open and papers must be submitted by 1 June 2019.